One of the nice things about living in a dry climate is: things are preserved. They are not washed back to the earth as quickly as they might be in a wetter climate. The desert southwest is famous for its ruins, not only those of the Anasazi, or Ancient Ones, but also of cultures that are more recent. 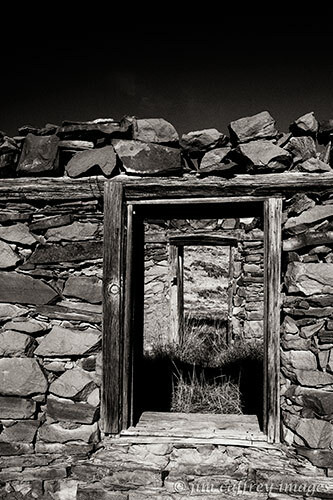 I spend a lot of time making photographs in the desert where I come across a ruin on just about every trip. 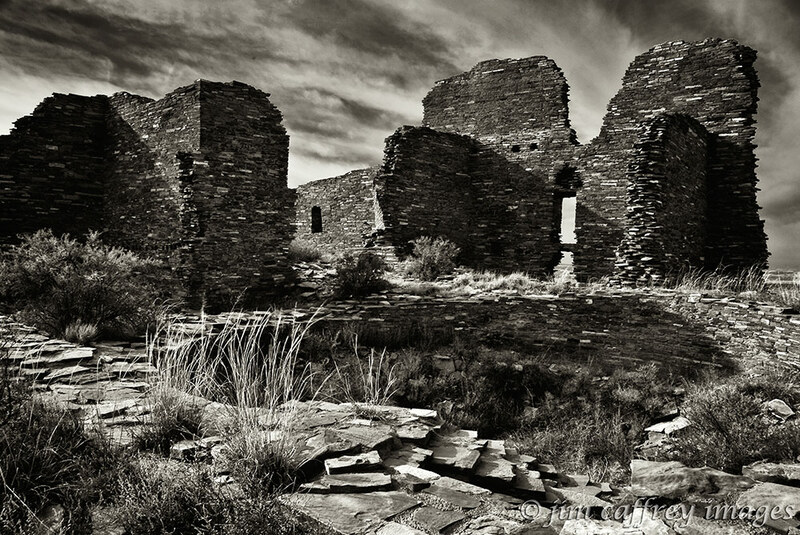 They may not be as famous as Pueblo Bonito at Chaco Canyon, but they speak of the past nonetheless. Whenever I am in one of these places, I am overcome by a feeling of kinship with the people who lived and died there. I find myself wondering who they were and what they did to sustain themselves. What were their names? Why did these places fail and fall prey to time and the weather? In many cases, such as the ranching communities in the Rio Puerco Valley, it was overgrazing that forced the inhabitants out. In places like Pueblo Pintado or Mesa Verde, it is thought that drought played a large part in their demise. This last image is one of twenty-three kivas in the Cliff Palace which was the largest cliff dwelling in North America. It housed about one hundred people in 150 rooms. 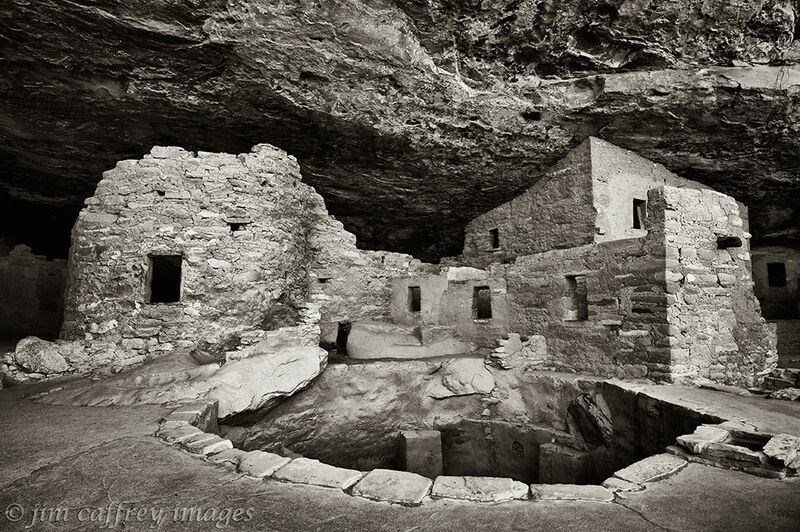 There are close to six hundred cliff dwellings in Mesa Verde National Park. This entry was posted on March 27, 2012 by Jim Caffrey Images. 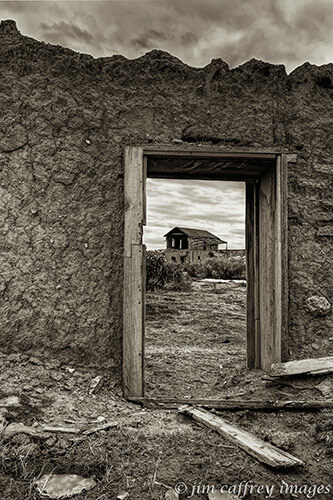 It was filed under Black & White, Culture, Journal, Landscapes, Processing, Technique and was tagged with Arizona, B&W, Cabezon, desert, hand of man, New Mexico, Photography, ruins, sky. Thanks Angie. I don’t have any experience with the iPhone camera, but I hear they are very good. I’ve seen some blog posts about it and I’m sure a google search would reveal some sites where you can pick up some info. Good luck. As always, your photos are stunning. I especially love the looking through the doorway photos. As always, amazing! I look forward to your post all the time. You capture some of the most amazing images. Thanks. Thanks Sheryll. I’m happy that my work is appreciated.